Join us at LEAD Conference 2018 to experience leadership development sessions geared toward your specific leadership qualities and skill sets. 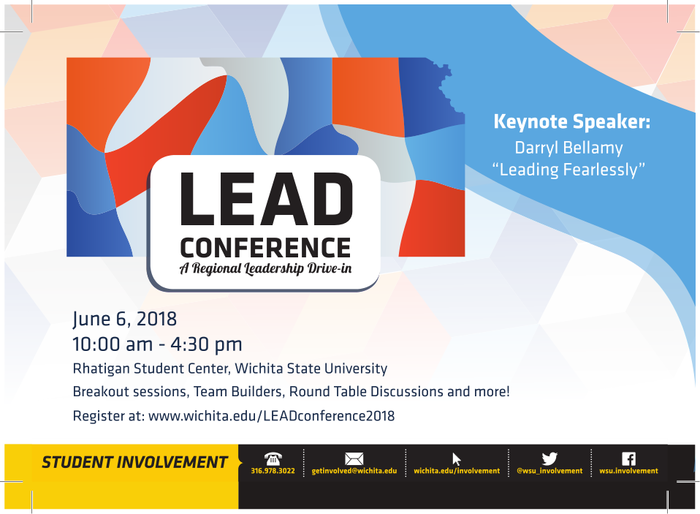 Our keynote speaker Darryl Bellamy will be discussing Leading Fearlessly and how to incorporate this concept into your lives as leaders and professionals. Combined with our targeted breakout sessions, you will leave this year’s conference with a strong sense of the various ways we lead every day, how to apply leading fearlessly, and why these concepts are important to your leadership success. Please select "PICK UP AT WSU" when selecting a pick up location. This item cannot be shipped. Please select option for 2018 LEAD Conference.